The Expanded Metal Company has been shortlisted in the Manufacturer of the Year (under £25m) category in this year’s prestigious Made in the North East Awards. Hosted by Insider Media, the awards recognise and reward the excellence of the North East’s manufacturing sector and showcase the successful achievements of innovative and forward-thinking businesses across the region. The Manufacturer of the Year (under £25m) award is granted to the manufacturer based in the North East who has demonstrated excellence and made an outstanding contribution to the manufacturing sector. This recognition comes as The Expanded Metal Company’s 25,000 sqm site is benefiting from major enhancements to its manufacturing capability and working environment, as part of an investment programme totalling up to £1 million over the course of 2018. 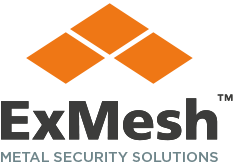 We have also invested heavily in staff recruitment and workforce development, and have continued to innovate by developing products such as Square Mesh and our ExMesh™ SR2 gate system. Philip Astley, managing director at The Expanded Metal Company, said: “We’re delighted to be shortlisted and would like to thank our hard-working team for their fantastic efforts. The winners will be announced at a ceremony held at Redworth Hall Hotel, Newton Aycliffe on October 18 2018.